Share the post "A complete guide on e-commerce reverse logistics"
Change of customer expectations and customer-friendly return policy have led to an increase in return requests more than ever. Everyone is feeling the pain of returns including retailers and manufacturers. Chances are you have bought something from Amazon and returned it. In e-commerce, facilitating quick and easy returns is the cost of doing e-commerce business. E-commerce reverse logistics is the customer-faced side of the e-commerce market. Reverse logistics refers to all the procedures associated with product returns, repairs, maintenance. Overall it means running products in reverse through the supply chain. In this article, I am going to discuss the pain areas in e-commerce reverse logistics which retailers face and how we can make reverse logistics effective. When we think about e-commerce logistics, we think of forward moving process with the end goal – getting the product fulfilled to the customer. However, the growth of e-commerce and a rise in consumer awareness has created a new challenge for retailers of moving products backwards. The days of the linear supply chain are long gone, there is this second cycle comes into the picture once the product is delivered to the customer. As online shopping volumes grow, so do returns volumes. Returns are widespread in the online retail industry. The rate of product return in offline stores are nowhere in comparison with the online retail stores. This has to do with the fact that when people purchase online, usually, they can only see the pictures of the products and can get the product information by its description. There is no trying or testing. That is why returns are familiar in retail e-commerce. They are expected! Unlike offline mom-n-pop stores, online retailers cannot put a board like “no returns”. There is a number of reasons that make reverse logistics inevitable including delivery of incorrect product, customer behaviour, damaged product, delay in order fulfilment and many more. Wardrobing: Wardrobing is when a customer buys a product, use it and attempt to return the product for a full refund. For example, a job hunter who buys suits for an interview returns the suit after the interview to save the money. This tactic is not limited to clothing and accessories. Product returns could be the fault of both sellers and customers. While talking to retailers, we could differentiate the customer personas who returns the product for false reasons. They are harmful to your brand. When we estimated the returns we handled for our retailers, we could find the most common retailers fault that reasons in product returns. Product returns by carrier: Everything is fine. The product is in excellent condition, it is the exact product which the customer has ordered, the customer is genuine and not wardrobing, yet it is being returned to seller! Why? There is a number of reasons where the product is not reaching the customer at all, and it is being returned back to the seller. Here is the complete list of reasons why the carrier is returning the product to the seller. 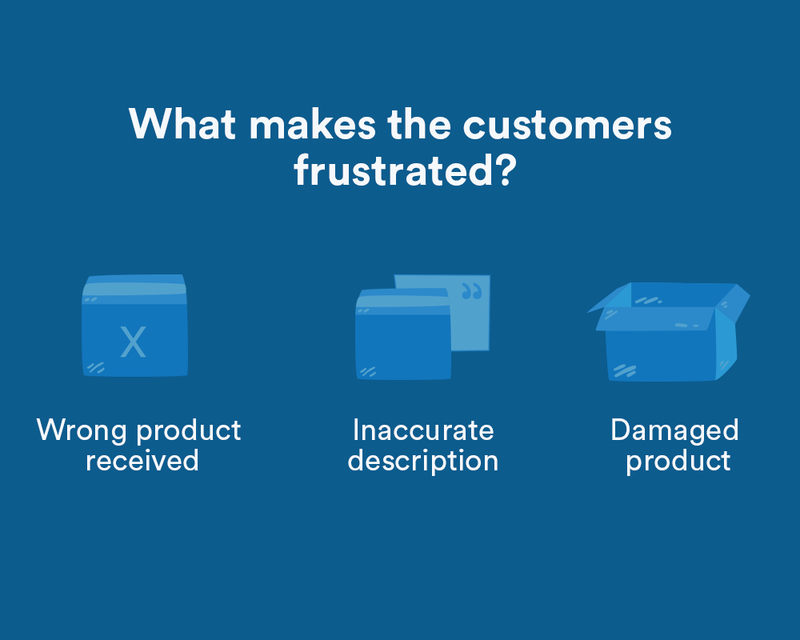 When you are getting these reasons from customers and delivery partner, it eventually results in receiving the product back. What we can do in such instances, I will be explaining in the latter part of this article. The cost of reverse flow is usually high whereas generally, the cost of returned goods is typically low. The returns are extraordinarily expensive and eat up the already pressured profit margins. Product returns add an estimated 8 to 10% of the cost price of the product. In the apparel industry, for example, return rates are typically higher by 40% than others as we offer multiple sizes & multiple colors. Retailers are going to see the cost of reverse logistics go up dramatically over the next decade. The true cost of product returns are not only the logistics costs but also the damage to the customer experience due to the inconvenience caused to the customer. Each time the customer returns the product, chances are high that they will not buy again from your store. When a customer churns, you lose the lifetime value of that customer. You also lose the cost of acquiring the customer. Besides, you are making your competitor stronger by giving your customer an inferior product and service. Million-dollar question – Who is supposed to bear the cost of reverse logistics? Let’s face it. Product return cost is frustrating for both genuine buyer and genuine seller. So the burden of reverse courier charges should fall on whom? We surveyed few online shoppers, and they feel that the product return costs should definitely bear by the seller. Buyers argued that while purchasing the product online, they cannot see the actual product, touch or feel. The product descriptions may fail to describe the exact quality of the product. Local stores and malls can implement ”no refund policy” as we can touch, try and then make a purchase decision. I would instead not buy a defective or wrong product online if I have to bear the reverse logistics charges. – Says one buyer. Now let’s have a look what the sellers are saying. Sellers claim that many buyers place fake orders, returns the product in a damaged condition, replaces the original product with the fake one. Sellers come across many such buyers on a regular basis. 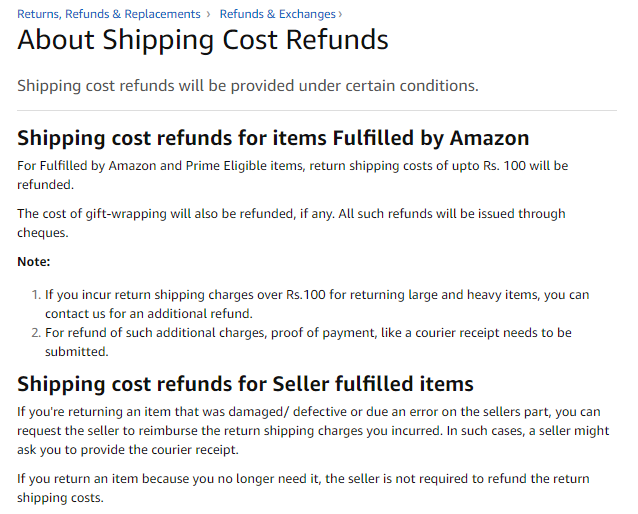 Amazon is doing a decent job while defining the return shipping charges as shown in the image below. It has clearly explained that if the seller is at fault, he/she will have to bear the reverse shipping cost and vice versa. Product returns are a significant revenue opportunity for carrier whereas it adds costs to retailers for shipping as well as storing the returned items. A study says that around 58% of return processes have return charges levied on the order which customer needs to pay. 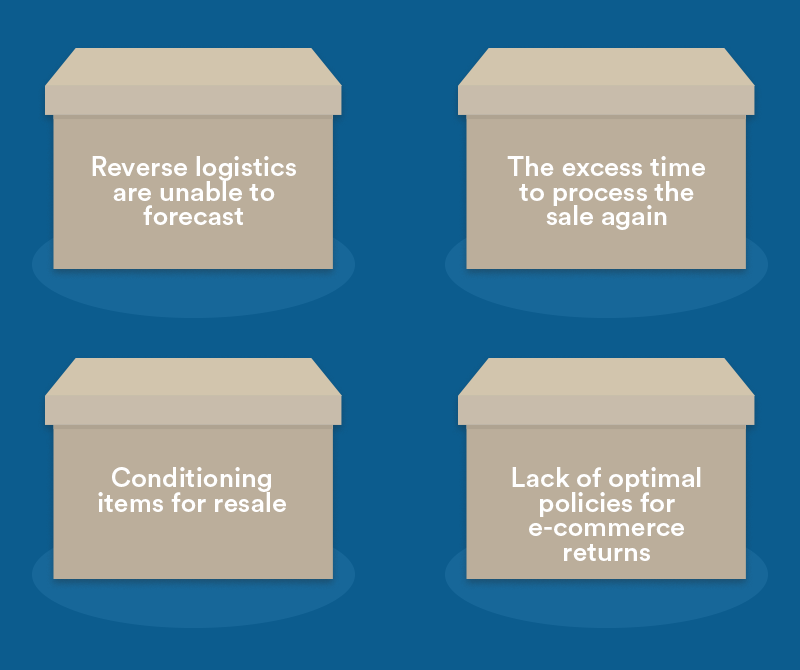 What can sellers do to reduce the cost of reverse logistics? Unfortunately, there is no clear way you can avoid returns altogether. However, there are ways to reduce returns which in turn can reduce the reverse shipping cost. Sellers should stop selling on seller-unfriendly marketplaces. Sellers should disclose all the correct details about the products in product descriptions. Inspect the returned product properly. Keep the proof of orders shipped and received. Source products from trustworthy suppliers. Discontinue products that have highest return rates. Always respond to your customers to avoid negative reviews. Hassle-free returns play a vital role in shaping customer expectations and overall experience with your brand. For many companies, customer-friendly return policies are one of the major components of their branding. One of our clients created a competitive advantage with offering free returns up to 100 days from delivery. They definitely captured a good share in the market over competitors, however, they experienced a downside where the returns have grown up to 50%. What I understand from this case is having a customer friendly return policy is not wrong, but at the same time, as a wise seller, you also need to look at the other side of the coin. The cost involved in returns are immense. They are the same as (or more than) forward logistics. Beside returns, reverse logistics also includes back and forth of items that need to be repaired or replaced. However, the total number of repairs is quite smaller that returns. However, the rate can be different from industry to industry. Today what are the challenges for reverse logistics? Statistics say that one of the three sold products will be returned. Due to shifts in customer behaviour and demand, experts are anticipating return rates to keep climbing. Due to flexible return policies, the burden of product returns falls largely on retailers. Returns unlike forward logistics start from many places and end up being in one place. It is hard to foretell who will return the product or what will be the origin of the return. This makes the budgeting forecast, logistics forecast and revenue forecast difficult. Reverse logistics is hence creating hinders for online retailers. Returned products generally take more time to be ready for the sale again. Especially in case of damaged and malfunctioning products. One the customer punches return request, they have to be picked up, inspected, fixed and restored. This makes the resale lengthy. In some cases, the price may change because of the received product is damaged or the accessories with it is missing. When a customer asks for a return, it is advisable to ask the customer to provide the reason for the return. Other than “defective” or “I changed my mind”, try to keep the reasons more specific. This helps you to process the return effectively. In many cases, customers are genuinely interested in the product. However, because of the little information on how to exchange the product with a similar one, the customer ends up returning the product to the seller. It is advisable to speak to your customer over a call rather than merely asking the reason on the return page. If you have a customer support team, this can work really well to reduce returns. A one-minute call can save you all the time and money processing the reverse logistics. Moreover, this also shows that you care for your customer and builds healthy relations with customers. To fight with the rising return rates, some retailers have tightened their return policies. Alternatively, as I have given an example of Amazon above, having a clear return policy can reduce much pain both for buyer and seller. There is a difference between having a strict return policy and a clear return policy. A strict return policy can negatively impact customer loyalty. A clear and flexible return policy actually drive customer loyalty and retention even if they are returning some of your products. Read guidelines to write effective return policy for your e-commerce store. Sometimes for retailers, it becomes difficult to recover the cost of returned products. Returned products become obsolete, and as a retailer, you neglect the same. Many a time the returns are piled up and becomes obsolete for example, electronics of fashionable clothing will of no use once the trends are changed. In such a scenario, it becomes difficult, rather impossible to recover the product value. (here I am talking about the cost price). Is reverse logistics good for any reason? Efficient reverse logistics is imperative to businesses for customer retention. Loyal customers have much higher value than one-time customers. When a customer comes to your store to make a purchase, be nice to them. However, when a customer is returning the product, make extra efforts to make their experience delightful. Such times are the point where the customer decides whether he/she is going to come back or not. It’s essential to retain your customers and keep them coming back. Having a hassle-free return process is a way to do this. Buyers are more likely to choose your brand over competitors when you allow them to return the products with less hurdle. In addition to this, easy return process can attract even more customers. Happy customers are likely to share their stories with others, and you know the rest of the story. Also, advertising a simple return process can encourage first-time buyers to make a purchase form your online store. It takes a lot to process the reverse logistics. However, you can get a good return on your investment. According to stats, 40% of buyers made an additional purchase while processing the return on the website. If you are making your returns smooth and comfortable for your customers, your profits are going to be immense. The e-commerce business is quite complex. There are basically two ways you can attract customers one is the interface, and the other is the fulfilment process. If on your e-commerce website either of these two found lacking, the customer may lose the confidence to purchase from your store. Reverse logistics is the other half of the fulfilment process. Hence a robust return process can be an added strategic advantage for your business. While processing the returns, analysis of customer feedback can help the retailer to identify the products that are no doing well and facing the problem of significant returns. You can do this by segmenting your customer and their feedback. Define the persona of high-risk customers by tailoring the feedback provided. You can pass these insights into your marketing team for the better targeting. How can you make your reverse logistics effective? With an understanding of the nature and elements of reverse logistics, you can manage this activity more effectively. The principle mantra here is the simplification. The shorter and cleaner the process – better the result. Longer the product stays in the supply chain, the more its value is likely to decline. This is not like wine; it does not get better with age. Items which already are damaged, are likely to get more damaged in the supply chain if stays longer. You can recapture more value of the product as fast it moves through the system. Likewise, your speed defines your strength and commitment towards your customer. 92% customers will buy again from you if the return process is simple. You can make your reverse logistics effective by keeping some critical elements into account while creating a reverse logistics process. While making decisions, you need to keep in mind that you need to satisfy these two parties: Your business and your customers. You may find it difficult to maintain a balance between what benefit your business and what to your customer, however, it is not impossible. You can do this keeping a few key elements in your mind while dealing with returns and reverse logistics. To make your returns process efficient, you must first need to consider the reason why returns are made at first place. Two key elements you need to take into account is return policy and return preparations. While crafting your return policy, you need to consider how it can impact your overall sales, your brand image and perception in the mind of your audience. How your policies can encourage your audience to buy from your store without hampering your overall profitability. It is always advisable to confirm the delivery address rather than to rely on what customers have provided. This can significantly increase your first-time delivery success rate. Many of our clients have increased their delivery success rate with this tactic. Depending upon the size of your business, and an average number of orders per day, you can set up an online address verification tool or call customers to verify their location. Make returns hassle-free for your customers but do not make it too easy that the number of returns increases significantly. Design your return forms in such a way so that the customer can mention the exact reason why they are returning the product. This will help you to understand how to handle the return request. Include the courier address and barcode, if possible, this helps your team to receive and identify the package quickly. Returns are not always standard transactions. Credit process can be tricky and lengthy at times. Make the credit approvals simple. Keep your customer informed, about how long it is going to take to get the refund. If the return is qualified in your return policy, the shipping charged may be paid by you (the retailer). Otherwise, it shall be deducted from the customer’s credit. The idea is to keep the return process as transparent and straightforward as possible. Customers do not like clutters. Though they are returning your product, try to keep the overall experience as smooth as possible for your customers to keep them coming back. Give them the opportunity to remember you, of course in a good way! Returns are made because of various purposes. Once you get the returned products back, sort them based on whether it is saleable, unsaleable, damaged, or repairs. Sorting helps you to manage returned products efficiently. For example, a returned merchandise having minor defect can be sent to the manufacturer to get it corrected. Tack your reverse logistics performance with these tracking metrics. It is uber important to monitor the progress against your reveres logistics plan. You need to have metrics to measure the financial impact of returns on your e-commerce business. To do this, you need to develop the process where you can analyze the return rates and getting the returns back to you. Here is the list of metrics you should considering while measuring the overall performance of your reverse logistics. 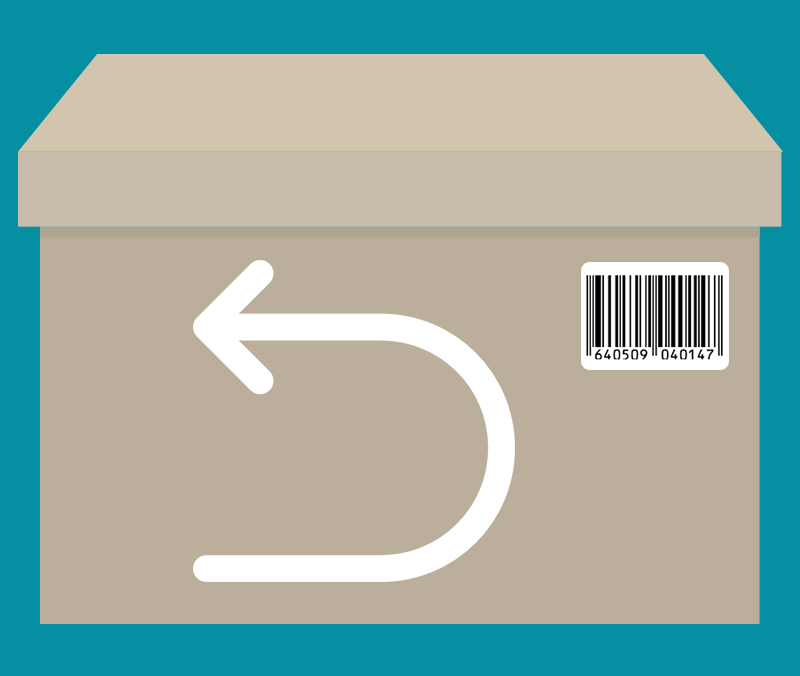 Reverse cycle time: The overall time to process the returns and reverse logistics can be an essential measure of reverse logistics. The more streamlined processes are; lesser the cycle time should be to process the reverse logistics. The ratio of product returned and resold: Another important measure the returns performance is how much is your returns and how many products from your returns you can resell. Product/material wasted: Measure how many products are moved to repairs and how many are scrapped as a waste. The objective to measure this is to minimise the product wastes. Products sent back to the manufacturer for repairs: The number of products shipped back to the manufacturer or supplier cause of defect or repair. If you are dealing with multiple suppliers, bifurcate them accordingly. If you are getting significant returns from a particular supplier, you know what to do! Percentage of cost recovered: what is the ratio of the actual value of the product and the amount recovered from the return? Is the firm maximising the profitability form the returned item or making a loss out of the same? Handling cost: What is the per item handling price? This can be calculated by diving the total cost of the reverse process by the number of returns processed. By doing this, you can measure the efficiency of the process. The reverse distance travelled: Track the average distance travelled by the item reaching you. The lesser the time, the better. The total cost of the product: Calculate the original cost of the product, reselling it to the customer, the reverse logistics cost, repairs, scrapping cost, and moving through the market again. This helps you to determine the actual cost of ownership of the particular product. How can iThink logistics help you to minimise product returns? Assume That you are a seller and you have shipped a product worth rupees 2000 to your customer from Surat to Bangalore. You charged customer rupees 100 for the shipping charges. The delivery person made a fake attempt to deliver the order and returned it back to the origin. Now, since the customer genuinely needs the product and you shipped it again. Now let’s calculate the total shipping cost which you are going to pay for this order. In this case, you are paying Rs 200 for shipping charges as you cannot charge your customer again for the fake delivery attempt. What does our NDR team do to reduce returns? In the last 12 months, we have observed that the last mile delivery person gave nearly 12 to 15% of your returns caused because of fake comments. Whenever a delivery attempt fails, the shipment remains with the courier company for the next 24 hours before returning to the origin. At iThink Logistics, we receive NDR (non-delivery report) from courier company regarding the delivery made/attempted on a daily basis. We receive several queries from our sellers regarding the returns. We get in touch with the customer within 24 hours of the delivery attempt. Our NDR team confirms the reason given by the delivery person with the customer. When the customer doesn’t agree to the reason given by the delivery person, such cases are marked as a fake delivery attempt. Our NDR team escalates the matter immediately to the courier company. In this entire process, we keep the seller in a loop. The scenario what I mentioned above is just one case; we have situations where our NDR team convinces your customers to accept the parcel. This reduces the last moment cancellation of the order. We identify the root cause of the problem and ensure product delivery. We use the most effective methods to prevent returns and proactively do everything to get your product delivered. As a seller, you do reduce not only the operational expenses but also enjoy the higher customer satisfaction. Considering that almost 30% of all items purchased online are returned, a quick solution to prevent the huge losses occurring out of product return is a must. If your company has enough volume, there are e-commerce logistics aggregator that can assist. We, at iThink logistics, reduce your return rate and improve the shipment delivery success rate by 15%. 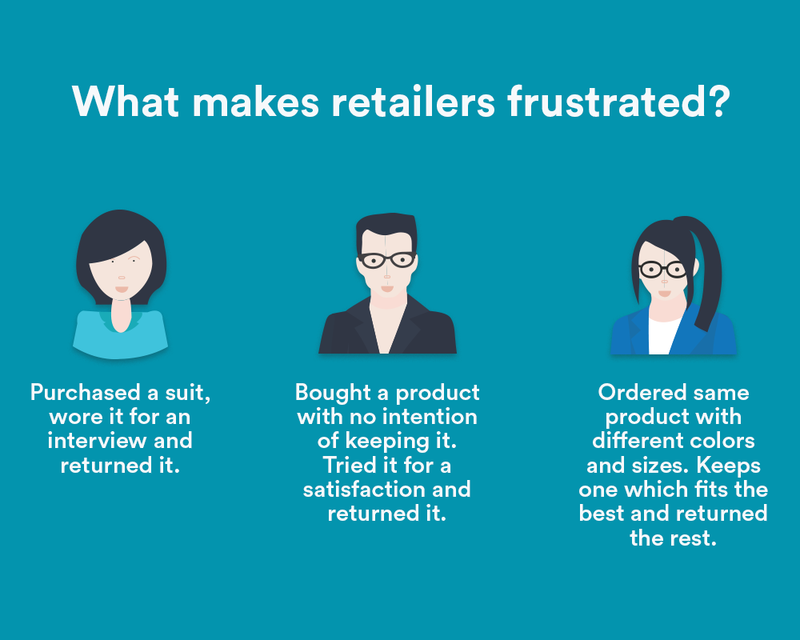 Retailers need to study deeply about how they manage the returned product. Reverse logistics is not an easy job. Companies have to work closely with customers and suppliers. Good reverse logistics program and return management are not going to appear out of anywhere. However, with iThink Logistics, you get this job done without hassle. The reverse movement of products offers many opportunities and challenges. You need to spend quality time to construct your reverse logistics process. The best return is no return. Do everything to prevent return. Online sellers, you can share some more tips and your experiences about reverse logistics in the comment section below. Next articleHere’s how Cash on Delivery (COD) works.